Things that will make you anxious. How many of these things make you anxious? 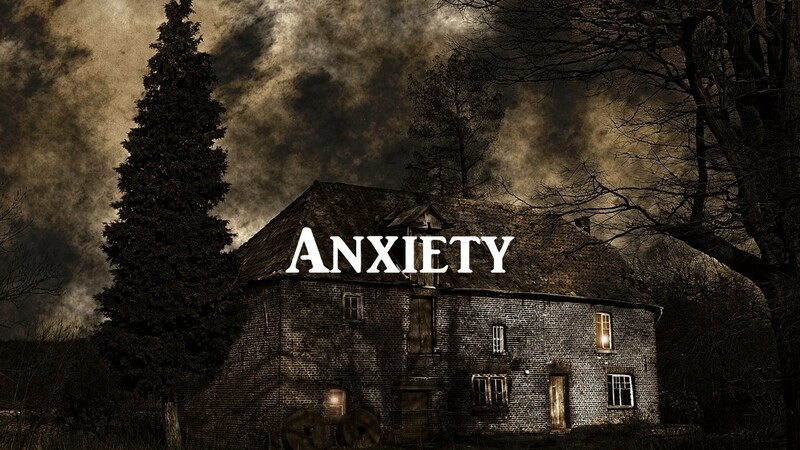 If you are high in anxiety and your life is full of stress, some of the things you have surrounding you may be adding to the tension and pressure you are struggling with. Take an inventory of these worry-producing factors and see which ones are part of your life. Consider cutting back on or eliminating things that are fueling your anxiety and stress and see if your life does not become far more pleasant. Having people in your life who like, respect and support you as a person and friend can be protective when it comes to anxiety and stress. Having to spend a lot of time around those who are uncooperative wears you out and leads to that stressed out feeling. Consider taking a look at your relationships and decide which ones add to your well-being and which ones need to be curtailed. Judgmental people surrounding you increase anxiety. People who are constantly judging you rather than accepting you are guaranteed to increase your anxiety. If you keep getting the message that you do not measure up to others standards, take a look at yourself. Improve what you can and distance yourself from those you will never be able to please no matter what. Having to constantly be on guard to do and say just the right thing is exhausting. Having people in your life who can accept the real you lets you relax and recharge. Not getting enough sleep results in anxious days and stressed out nights. Do not start thinking that sleep is time wasted. Those hours asleep each night help your brain clear the mental wreckage from the day before. Your brain burns a lot of calories each day and that mental exercise creates waste. You need some sleep for the brain to repair. Chronically sleep-deprived people become grouchy, have difficulty thinking, getting along with others and begin to make mistakes. When thinking is hard you can easily become overwhelmed and anxious. Increase your sleep to reduce your anxiety and fears. Your diet is emotionally burning you out. Poor diet results in trying to run your body on less than adequate fuel. Make sure you get enough to eat. Look to improve your diet in small ways. You do not need to become a healthy diet fascist to learn to eat better. A healthy balanced diet needs to include plenty of water and less in the way of sugar. Look for ways to make small sustainable changes that help you have the energy to cope with life. When you feel healthy you can better cope with stress. If exercise has become a spectator sport anxiety increases. Make sure your body is capable of responding when the challenge comes. Get up and move around. Sever that connection between fear and moving. Dance, walk, play to keep the body used to beneficial movement. Not being fit increases the stress when you do have to move for a reason. Forgetting to breathe expands anxiety. When the body is deprived of oxygen it sends out distress messages. Most people only breath deeply when they are already in a panic. Learn to control your breathing rather than letting anxiety take your breath to unknown places. Having a job, not a life purpose stresses you out. If you do your work with a purpose it rewards you twice, once when you enjoy what you do and again when they pay you for having done what gives you pleasure. People who have to endure the workday become progressively more worn out. Seek out work that gives your life meaning. Look for something you can feel proud you do. Make your daily occupation a means to an end not the end of your existence. Living to meet others expectations increases anxiety. If you are mostly motivated by trying to please others you will find it difficult to please yourself. Do each daily task as if you were the boss and do it well enough that you would be happy with an employee that worked this hard. Being on the lookout for what could go wrong magnifies anxiety. Do you spend most of your day looking for what might go wrong? If you are on the constant lookout for problems you will find them. In that process, you may miss the possible solutions and the happy moments between the problems. All you do is work, too many miles without downtime adds to anxiety. If life becomes a grind then it will grind you down. Some people love what they do and it energizes them but other people work to exhaustion and spend their off time worrying about work and teetering on collapse. You spend more time in the past and the future than in now. The more time you spend visiting the past and the future the more anxious or depressed you may become. People who anticipate the future with dread, looking for what might go wrong, grow more anxiety than accomplishments. Ruminating about things, not let things go increases anxiety. Rumination is that habit humans have of just not being ready to let anything go. You worry you obsess and then you worry some more. If most of your thoughts are about things that need worry, your life has been taken over by the anxiety monster and you are doing his bidding. Taking things way too seriously grows anxiety. Is everything in your life deadly serious? Do you need to be right about everything? Then you have lost your perspective and are ripe to be absorbed in your anxiety. In terms of humans history, not much that happens in most of our lives will matter next week let alone next year. But your effort into the things that will really matter. This entry was posted in Anxiety, Emotions and Feelings and tagged job stresses you out, Judgmental people increase anxiety, not let things go increases anxiety, taking things too seriously, Unsupportive relationships and anxiety by David Joel Miller. Bookmark the permalink.